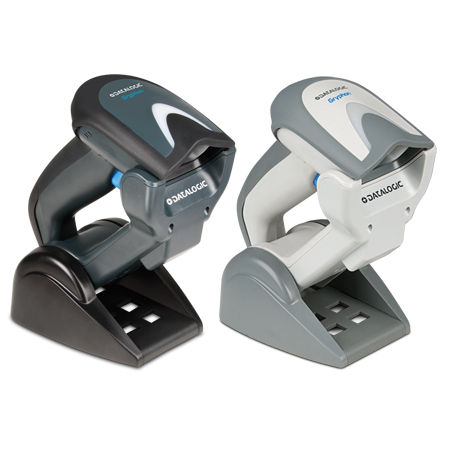 Featuring Bluetooth® Wireless Technology, the Gryphon GBT4100 readers eliminate the need for cables that limit operator movement and create safety concerns in the workplace. 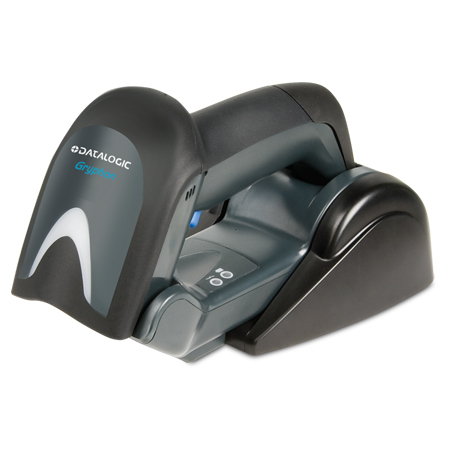 The reader can also transmit data to the host through its base station as well as to any commercial or embedded Bluetooth® v2.0 compliant device. 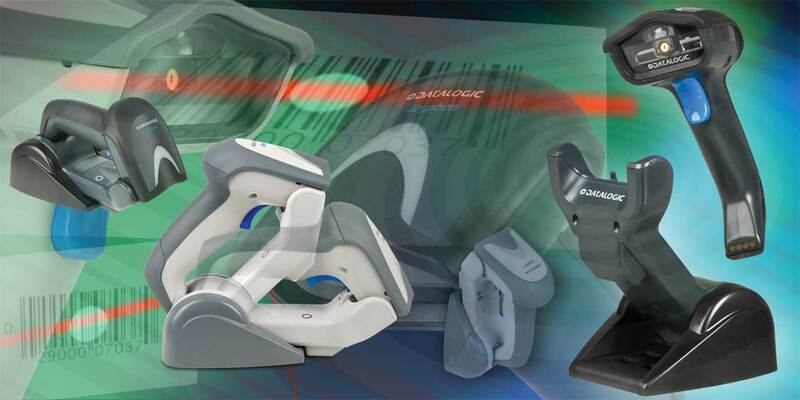 Datalogic’s unique 2-position cradle provides multiple features for the user. 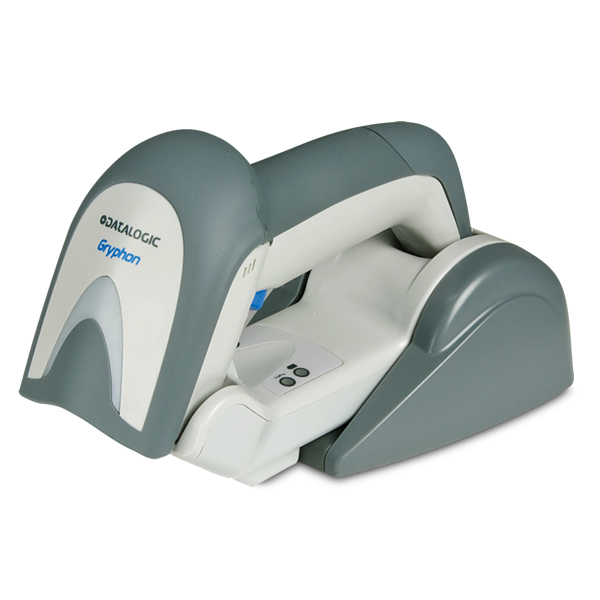 When in the ‘up’ position, this imager can be used as a hands-free or presentation style reader. 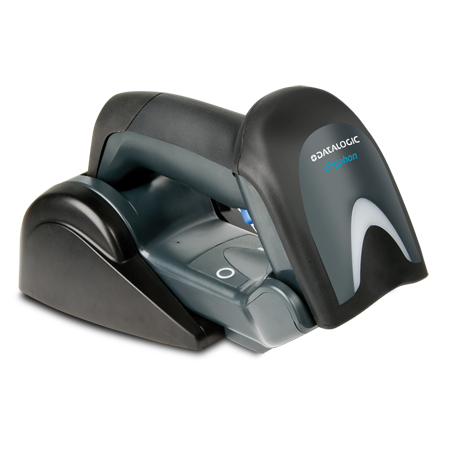 With the Scan-While-Charging feature, there is never any concern about depleted or dead batteries, ensuring constant up-time for increased productivity. 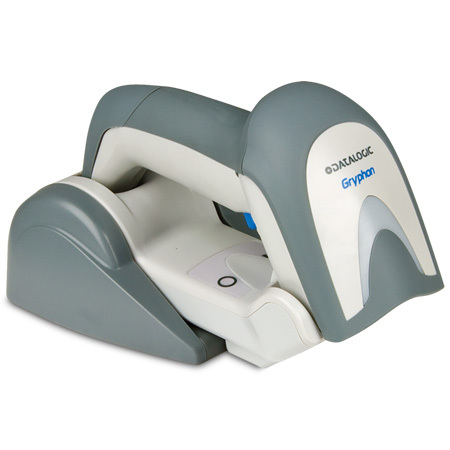 The Gryphon GBT4100 reader’s batch mode capability allows more than 1200 bar codes to be stored in the memory. Combined with a 33,000 scans per charge Lithium-Ion battery, these two features create unlimited mobility and reliable data collection when out-of-range. 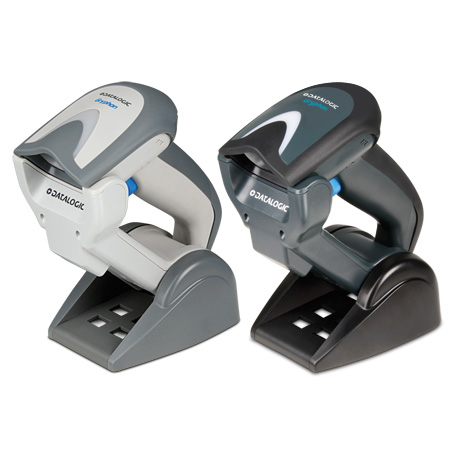 Standard multi-interface capabilities include USB, RS-232, Keyboard Wedge and Wand Emulation for the GBT4130 models. IBM interface models include IBM 46XX, USB and RS-232 Emulation for the GBT4110 models.